A few weeks ago, I was invited to give a talk on “How to Integrate Sustainability Efforts Into Your Brand Identity and Storytelling” at the Expert Day Communication organised by Flanders DC, a vibrant non-profit organisation that coaches creative entrepreneurs in the region. It was my first ever visit to Antwerp and it left me with a longing to return. I sensed that Antwerp is a place that understands and values the cultural relevance of fashion, and the significance of craftsmanship and quality. From the moment I arrived, I became immersed in the city’s rich fashion culture. Jasmien Wynants, Flanders DC’s expert for sustainability in fashion, kindly took me on a private tour of the thriving local slow fashion scene and showed me that Antwerp is a haven for vintage designer clothing. The following morning, I participated in a delightful ‘Fashion Walk’ organised by the iconic Antwerp fashion museum, MoMu. In the interview below, you can learn about how Belgium fashion brands are waking up to the importance of sustainability and how Flanders DC supports fashion businesses with their sustainability efforts through tangible programs and tools. Jasmien shares her impressive list of Antwerp-based slow fashion brands – and I can’t wait to visit next! Jasmien, how do you advise brands on the topic of sustainability? I have one-on-one meetings based on questions from designers and companies that reach out to us. A question we get a lot is for example where to buy sustainable fabrics. That’s why we gather all the information we have on this matter and a list of sustainable fabrics suppliers and fairs on our Close The Loop website. I often advise companies who are either just starting to look into sustainability or have been working on the topic for quite some time but want to see if they can do more/better to first fill out our Close The Loop “planner”. It’s a list of 25 questions that we launched last year and this simple questionnaire delivers helpful short-term and long-term actions along with ready-to-use tips and tools. In addition, it identifies your quick wins: sustainability efforts you are already making but have not yet incorporated into a proper policy. In addition, we also have a one year programme for more mature companies in Belgium in which we work together with several consultants who help these businesses in mapping out their sustainability strategy and implementing it as well. Would you say that Belgium fashion brands have become more aware of sustainability in recent years and if so, how does it show? What do you wish we talked more about today when it comes to fashion and sustainability? For me it’s not what we talk more about but how we talk about the matter. I understand that we have to be the ‘bad cops’ once in a while, challenging companies when it comes to the efforts they do, the actions they complete and why they do them, but all too often we see negative reporting and communication about the matter. I would love to see more positive stories, enhancing companies, stimulating them to take action. I’m a strong believer in a positive approach. How would a positive vision for how we produce and make use of clothing and fashion in the future look to you? I think it would be great if we could see more appreciation for craftsmanship and the quality of clothing. I think it was a good thing that fashion got democratised at the beginning of the 20th century, it’s amazing that fashion isn’t just for the elites anymore. But we all know and see that things got out of hand and the low prices of cheap and fast clothing created a ‘devaluation’ of fashion. I would love to see our children, grandchildren and future generations fall in love with special items that were created with passion, and take care of those items, cherishing them, repairing them and passing them on when they don’t fit any more, for example. I hope for a future with more quality, care, craft and consideration. What are your personal highlights and precious places in Antwerp? I’m happy I could show you some. :) I think the offering of second-hand designer store Rosier is amazing. I’m in love with jewellery brand Wouters & Hendrix that has a beautiful store near the amazing shop of Dries Van Noten. Of course, the ‘Modenatie’ — the fashion building housing the legendary Antwerp fashion museum (MoMu) and the Flanders DC offices. In this area, there are several stores worthwhile a visit: Christian Wijnants, Lies Mertens, concept store Ginger LABO among others. My go-to sustainable fashion shops are HOST and Ramon. Knitwear brand launched in 2007 by Stephanie Caulier. Each garment is hand knitted with wool sourced in Peru. 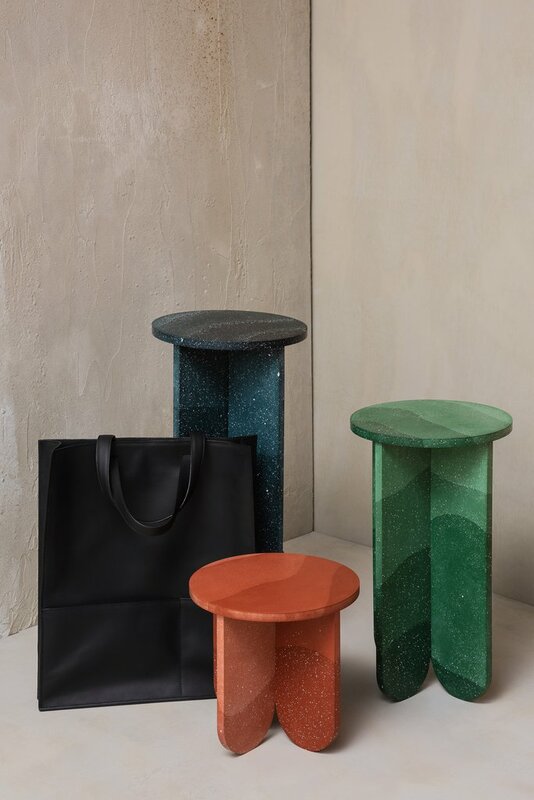 The emerging accessory brand Lies Mertens focuses on high-quality materials and designs, and produces in Portugal, using biodegradable leather that is tanned without chemicals. Ramon is a multi-brand fashion boutique in central Antwerp selling conscious fashion brands such as Helder and Ioana Ciolacu as well as beauty and lifestyle goods. Atelier Solarshop is a curated shop space, founded by menswear designers Jan-Jan Van Essche and Piëtro Celestina, that offers a collection of timeless and well-made pieces rooted in a love for craftsmanship, blended with timeless antiques and vintage. Sustainable lingerie brand founded by Murielle Victorine Scherre in 2003. La Fille d’O produces at Quality Consult in Kemmel, Belgium, and lists their sustainability efforts transparently and in great detail on their website. Since 2002, Labels Inc. has been a destination for pre-loved pret-a-porter women’s and menswear as well as shoes and accessories from the recent collections of international fashion houses and Belgian designers. Tranquil space that hosts a slow fashion concept store, a restaurant serving locally sourced dishes, a gallery, and an apartment all under one roof. 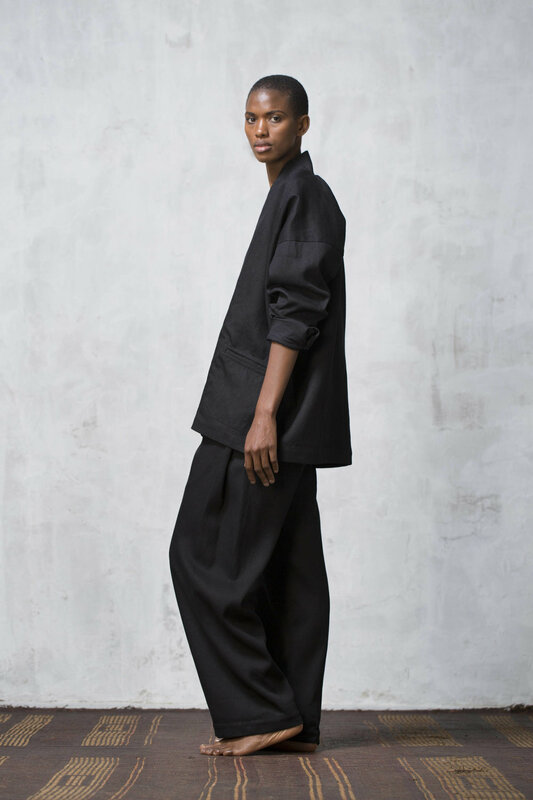 Contemporary womenswear — tailoring with a twist — made in Belgium. The family business Ganterie Boon was established in 1884 and is the only remaining specialised glove shop in Antwerp. All gloves are handcrafted in small workshops, primarily in Italy, France and Hungary. ROsier 41 sells second-hand high fashion labels at affordable prices and stocks Belgian designers such as Dries Van Noten, Ann Demeulemeester, Maison Martin Margiela, and Raf Simons, as well as international brands. Taking part in a ‘Fashion Walk’ by legendary Antwerp fashion museum MoMu is a wonderful way to immerse yourself in the rich avant-garde fashion history of Antwerp that originated when the iconic ‘Antwerp Six’ took the world by storm in the 1980s. You can either book a private group tour or take part in a regular tour that takes places on the first Saturday of each month. Jasmien Wynants works as a project manager at Flanders DC, a non-profit organisation supported by the Flemish Government that coaches and promotes creative entrepreneurs in the region. Her focus is on sustainability in fashion and, in cooperation with Circular Flanders, she created Close The Loop, a comprehensive online platform on circularity and sustainability in fashion. With the platform growing, she now gives talks and workshops on the topic, hosts a Close The Loop Facebook community and guides fashion companies in becoming more sustainable.